If you need any further convincing that we need to build more lower-priced homes, take a look at resale supply. 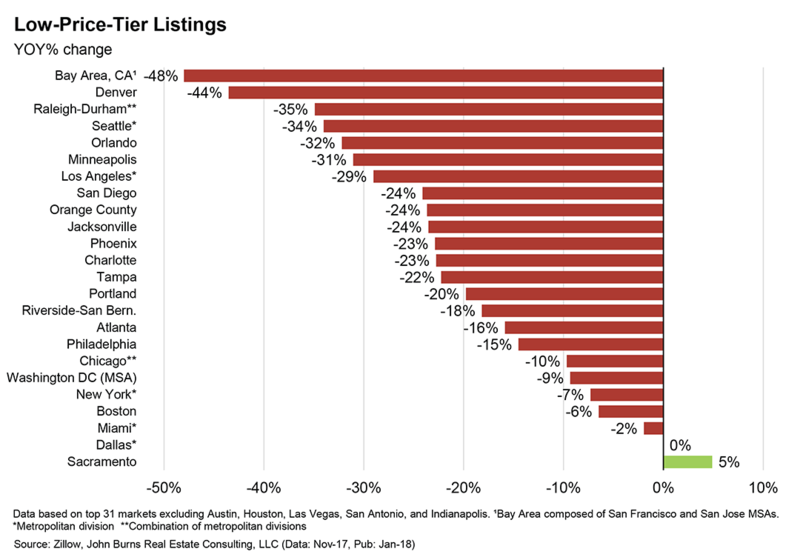 The supply of low-tier listings (defined by Zillow as listings priced in the bottom one-third of home values in the market) has been declining steadily since mid-2014 and are down a whopping 20% YOY in the 31 largest housing markets. 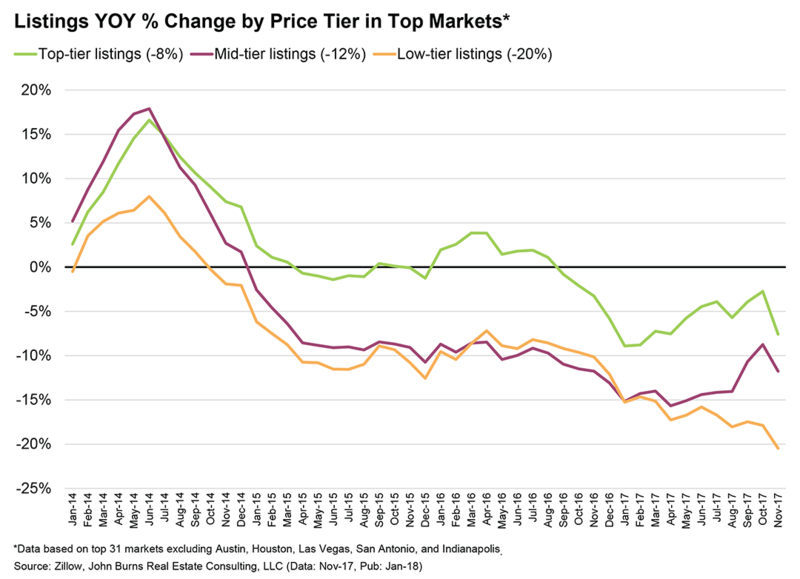 In comparison, top-tier and middle-tier listings are down 8% and 12%, respectively. Listings have fallen 22% or more over the last year in 13 of the 31 largest housing markets nationally. The Bay Area, Denver, Raleigh-Durham, Seattle, Orlando, and Minneapolis have all experienced 31%+ YOY declines. 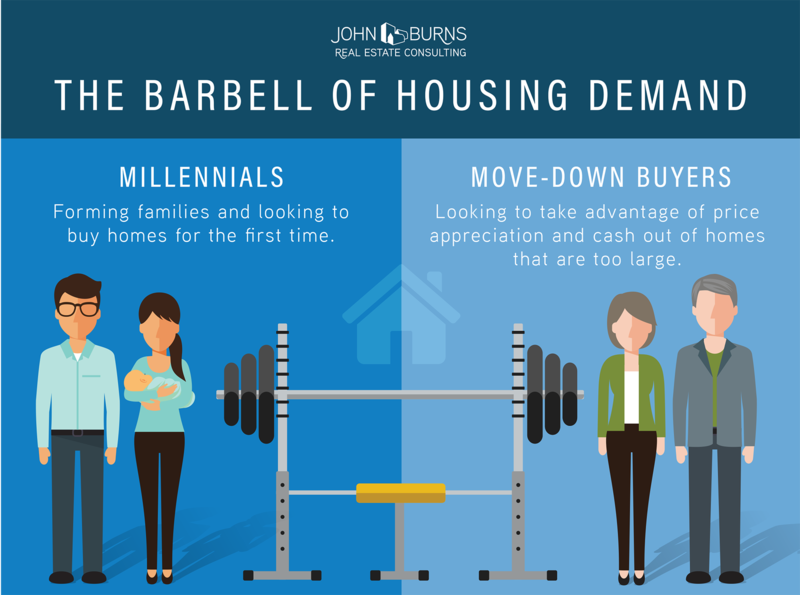 Strong pent-up demand from millennials who are finally forming families and looking to buy homes for the first time. Increasing demand from move-down buyers looking to take advantage of recent price appreciation and cash out of homes that are too large. We expect the growing retiree population will purchase 77% more homes over the next 10 years than the last 10 years, with many buying a less expensive home so they can tap into the equity in their current home. These two groups represent the barbell of demand we keep talking about. Young family and move-down buyers actually have a lot in common: they typically don’t want (or need) large homes and are price conscious. Whether strapped with student debt or living on a fixed income, these buyers often opt for smaller, more affordable homes in a desirable location (close to employment and/or grandkids, good schools, etc.). 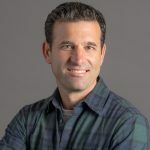 As supply in the resale market continues to tighten, the need to provide new innovative housing solutions for these barbell buyer segments has perhaps never been greater. For great entry-level and move-down housing solutions, contact any of our consulting leaders or reach out to me directly at (949) 870-1213 or by email.